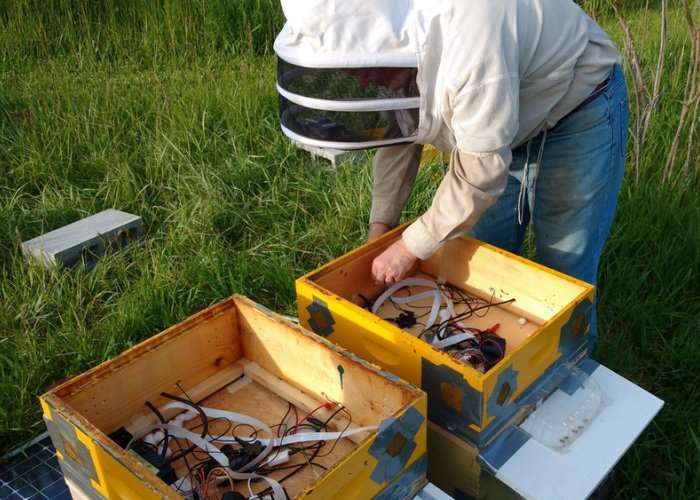 Beekeeper Vladimir Kulyukin has created a new Raspberry Pi powered multi sensor beehive monitor which has been amply named the BeePi and allows you to monitor your hives using video, audio and temperature sensors. By collating the data remotely beekeepers can then estimate the state of the bee colony and make alterations if required before any harm comes to bear on the bees. Watch the demonstration video below to learn more about the system and how it can help you monitor your beehives remotely. The creator of BeePi, Vladimir Kulyukin explains more about the multi sensor monitoring system which has been specifically designed for beekeeping. The BeePi story begins when I came across the August 19, 2013 issue of Time whose cover read “A World without Bees.” That issue featured Bryan Walsh’s article “The Plight of the Honeybee” about possible effects of failing honeybee colonies. After reading this article I asked myself what I can do as a computer scientist and a beekeeper to improve the health of bee colonies. What exactly is the problem? The problem is that many honeybee colonies are failing. In the U.S., the number of hives that don’t survive the winter months has averaged 28.7% since 2006-2007. During the 2014 California almond bloom, between 15% and 25% of beehives experienced failures ranging from complete hive collapse to dead and deformed brood. Typical culprits of bee colony failures are Varroa mites, foulbrood, chalkbrood, and bad weather. Other factors contributing to bee colony failures include pesticides (e.g., neonicotinoids), monoculture (increasing emphasis on growing large quantities of the same crop), and transportation stress caused by long hauls of large quantities of commercial beehives on semitrucks. Since 1 out of every 3 crops have the honeybee as their sole pollinator, the nutritional diversity of our food supply is in danger. It’s not only the bees that are suffering, beekeepers are suffering, too. The average loss for beekeepers annually is 1 out of every 3 hives. The loss range varies from 25% to 50% per year. Nationally we’ve lost more than half of our beekeepers since the arrival of the Varroa mite, a parasite that now afflicts many beehives. The cost of equipment, bee packages, maintenance, and transportation is so high that profit margins for beekeepers are very small.